In a world where the most stressful thing seems to be winning a soccer game or what to wear in the morning, you take some really basic things for granted. Like the love of your parents. Or hanging with your friends. Or the beating of your heart. This was a very emotional read for me. Maurer approached a sticky subject and handled it extremely well. 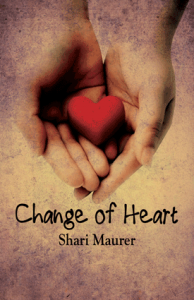 Change of Heart is a heart-wrenching story of family, strength, love, and self-discovery. Something about it touched my heart. The main focus of the story is Emmi and how she deals with her heart problems. Still, Maurer doesn't neglect the other elements in Emmi's life. As the reader, I was with Emmi through heart-break and loneliness. I was also there when she was surrounded by friends and family. I really appreciated how the author incorporated other parts of Emmi's life as an insecure teenager into the plot instead of focusing solely on the medical side of the story. To be honest, I didn't particularly like the character Emmi. She seemed a little too witchy and selfish. When her family tried to support her, she lashed out at them. Emmi also whined about her treatments and medications throughout the book. I guess I can't really blame her though. She went through a lot. I don't know how I would act if I were in her place. The ending was the most beautiful part. The first half of the book was pretty good, but about three quarters of the way through, things got even better. This part of the novel was the tear-jerker. I won't spoil anything, but it was very emotional. Overall, I definitely recommend this to any teen or adult reader. The story taught me that I need to embrace every moment. You never know when your whole life can change. Nice review! It sounds like it has a really great message about life, and I love great messages in books. Anyhow, I'll have to pick it up sometime. 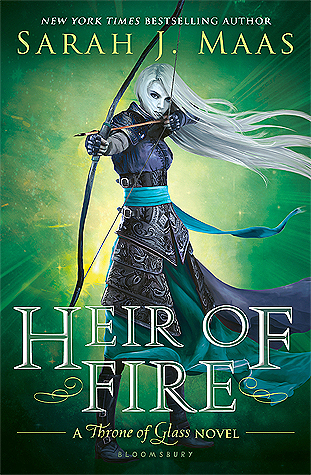 Great review :D It sounds like it's a great read, and it needs to go on my goodreads list. Thanks for the recommendation!